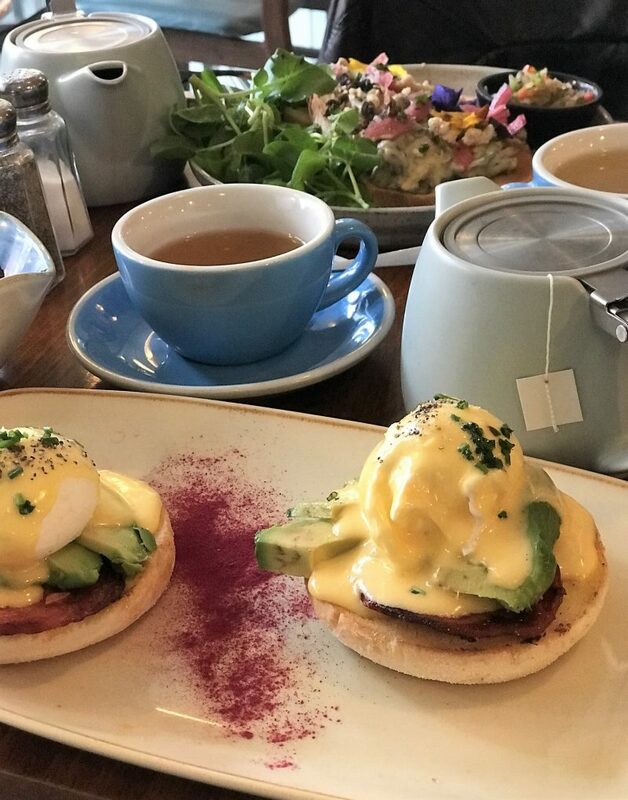 Where is the best place for brunch in Manchester? Well, I get asked that question a lot. 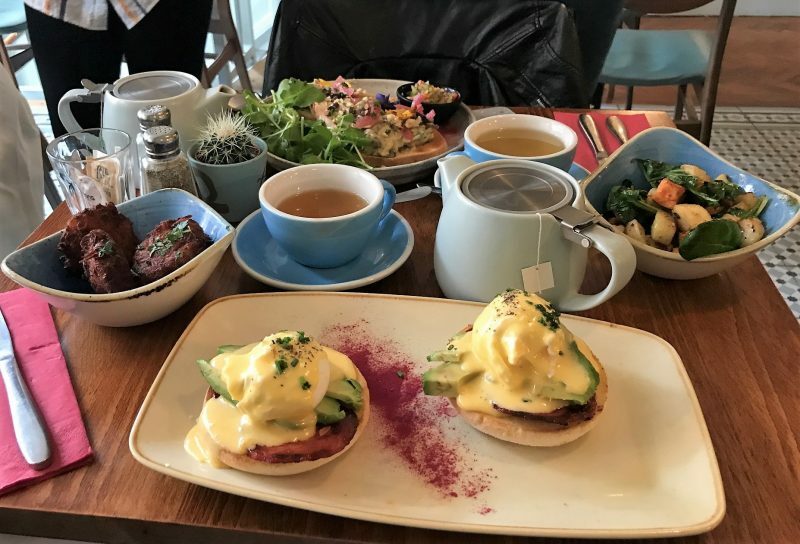 I actually put together a full review on the best places in Manchester for brunch a few months back. As much as I stay true to the places in the vlog I filmed – I hadn’t then tried out Alabama’s All American Eatery. 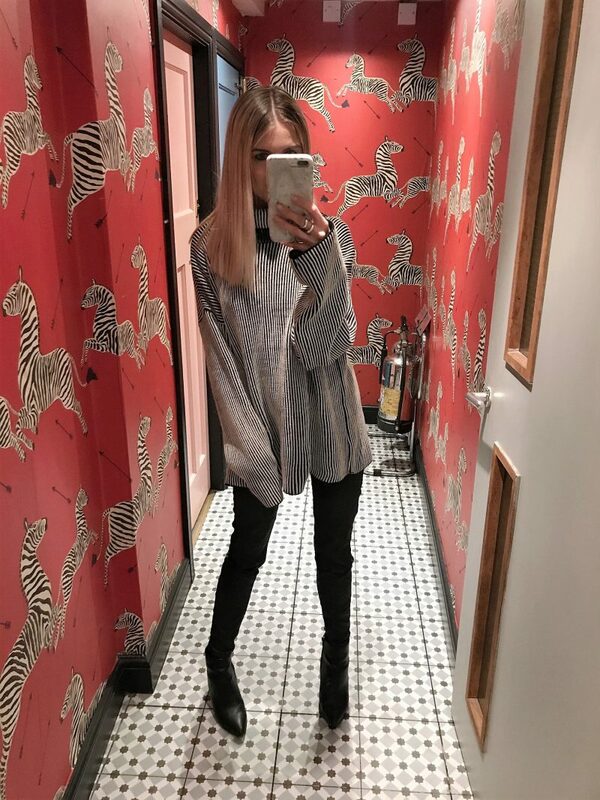 So, maybe that vlog needs updating and adding an extra one in! So, a couple of weeks ago myself and my blogger and photographer buddy Georgie Glass headed to Alabama’s, situated in the Northern Quarter. 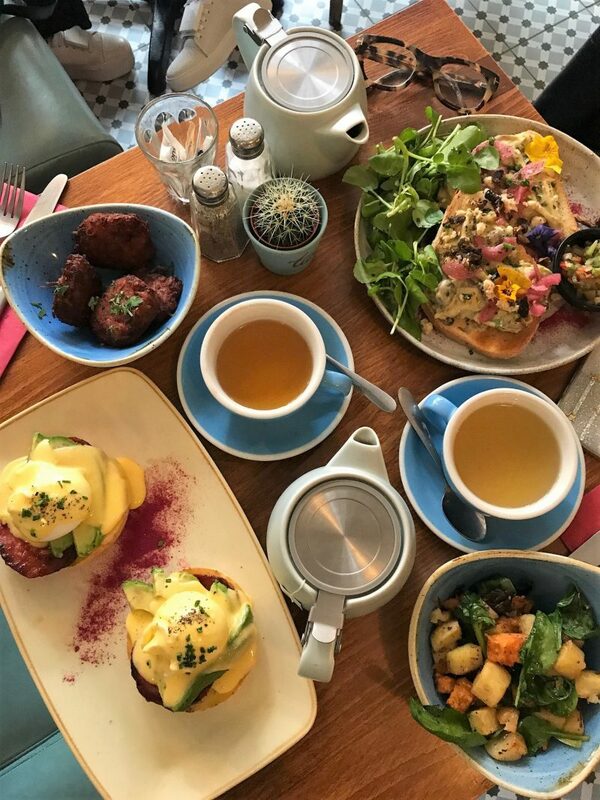 We were booked in for brunch, and after hearing amazing reviews of this place, it’s fair to say I was pretty excited. Alabama’s All American Eatery is a small-ish place, however its very long and narrow layout inside ensures you get a fair few seating arrangements in there. It’s usually really busy, therefore they don’t operate on a booking basis. What I’ll start by saying is that Alabama’s is overly popular and highly raved about for their pancake and waffle stacks, with various delicious toppings. And not to mention their incredible milkshakes, or all types of flavours and fillings. However, upon my visit I had recently had a weekend filled with fatty food indulgence and desserts, so I sadly decided to go for the less sugary options, much to my disappointment. 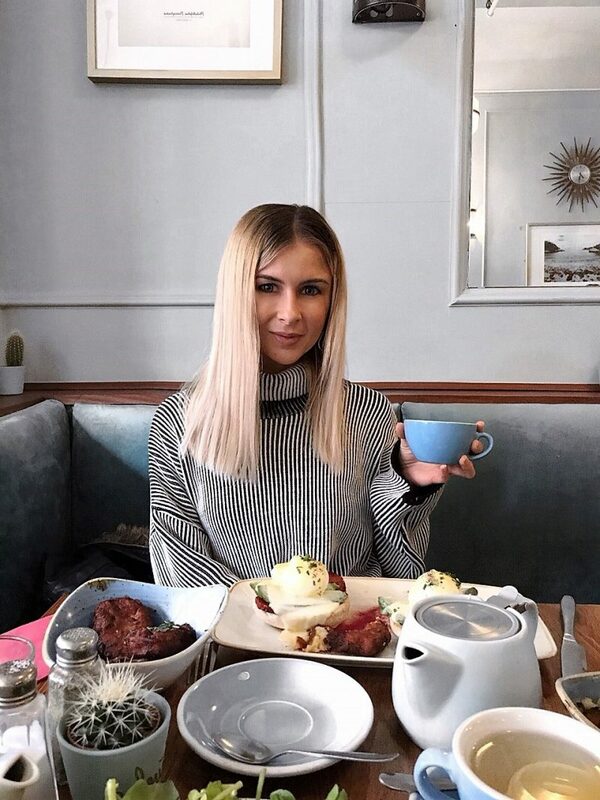 But, if you research Alabamas’ on Instagram or on Google, you’ll see so many amazing shakes, pancakes and waffles reviews, so maybe my review will show you just how brilliant the savoury brunch options are! It’s safe to say that the menu is reeeally extensive. You have your list of Breakfasts, which includes large plated breakfasts from the ‘classic’ – streaky rashers, sausage patty’s, tomatoes, mushrooms, hash browns, fried egg, beans and rye bread, to the ‘Vegan‘, which I was pretty tempted to go for (not because I’m vegan, but I love a meat free brekkie!). This features vegan sausage, vegan black pudding and potato hash with all the breakfast regulars. They also do a big Steak Hash and Breakfast Burger, and then lighter options, like the Fruit & Yoghurt and Vegan Panna Cotta. The Sweet Stack menu appealed to me the most. They list the most mouth drooling range of x3 buttermilk pancakes or x4 vanilla waffles with toppings such as berries and cream, banoffee, chocolate and peanut butter, bacon and maple syrup and cinnamon and apple. 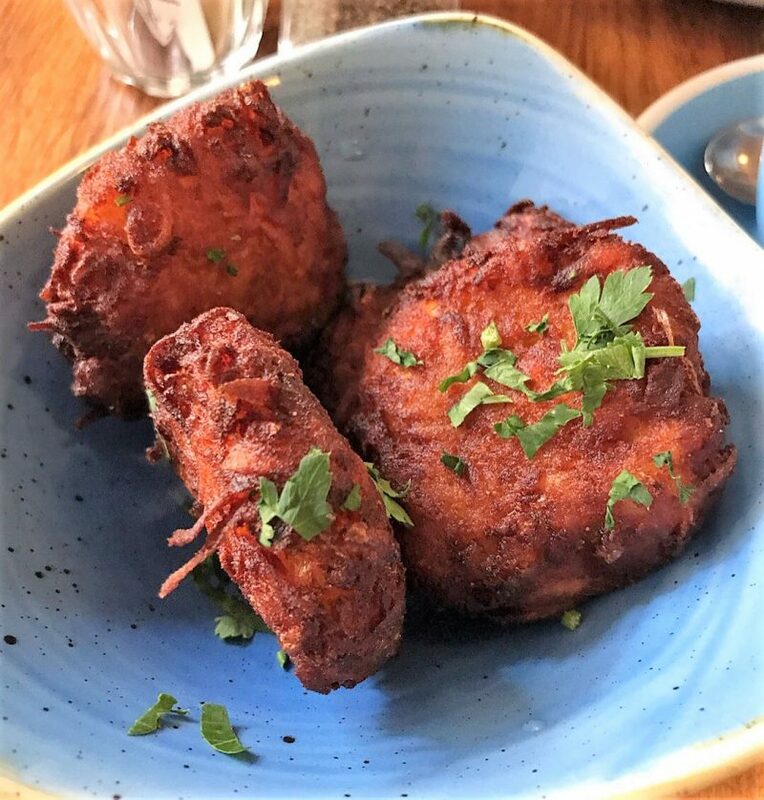 The Hash Browns were so much tastier than your traditional ones. 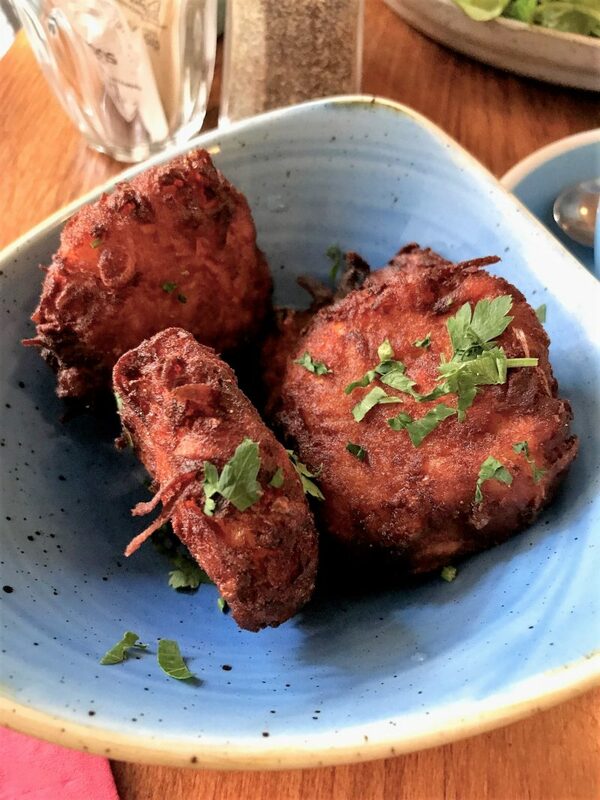 Slightly herby with a crispier, crunchier coating and the softest potato inside. 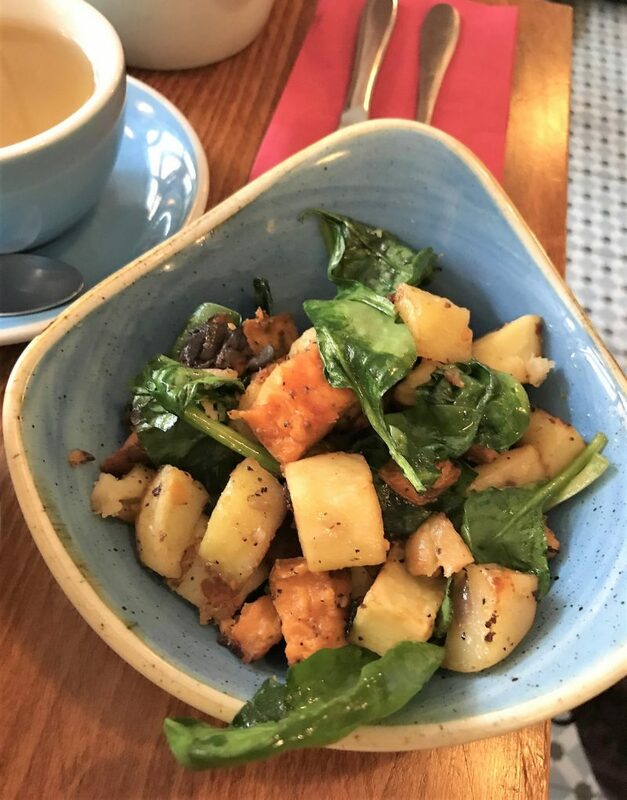 Georgie went for a Vegan Potato Hash side dish, which included a dish full of cubed potato variations, including sweet potatoes, and handfuls of spinach and other veggies thrown into the lightly herbed and spiced bowl. These side dishes were incredibly flavoursome, and totally more-ish! 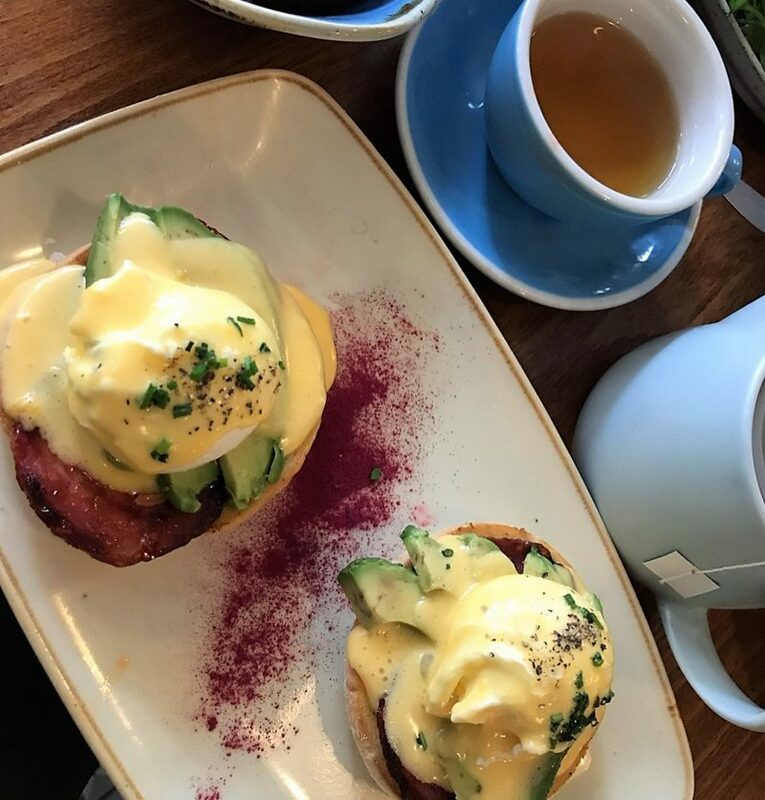 The Eggs Alabama that I went for was a lightly toasted English Muffin, split into two topped with two soft free range poached eggs, an avocado fan, charred chorizo, Hollandaise sauce, chives and parsley. The eggs were light and fluffy, drenched in the richest Hollandaise, with chunky, soft avocado pieces all fanned out beneath the eggs. The chorizo was in delicious slices, adding more of a strong, saltier taste. I love chorizo, so I got my slice of Spanish tapas on top of my favourite Eggs dish! 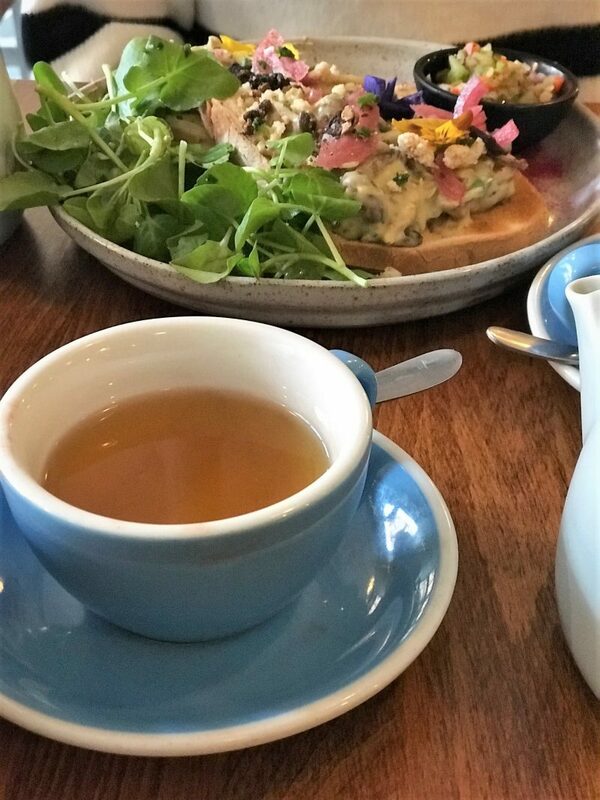 As Georgie is Vegan, she opted for the Field Mushrooms, a pretty plate filled with crunchy sourdough piled high with pan tossed mushrooms, homemade relish, vegan cream, dried shiitake and pickled onion. 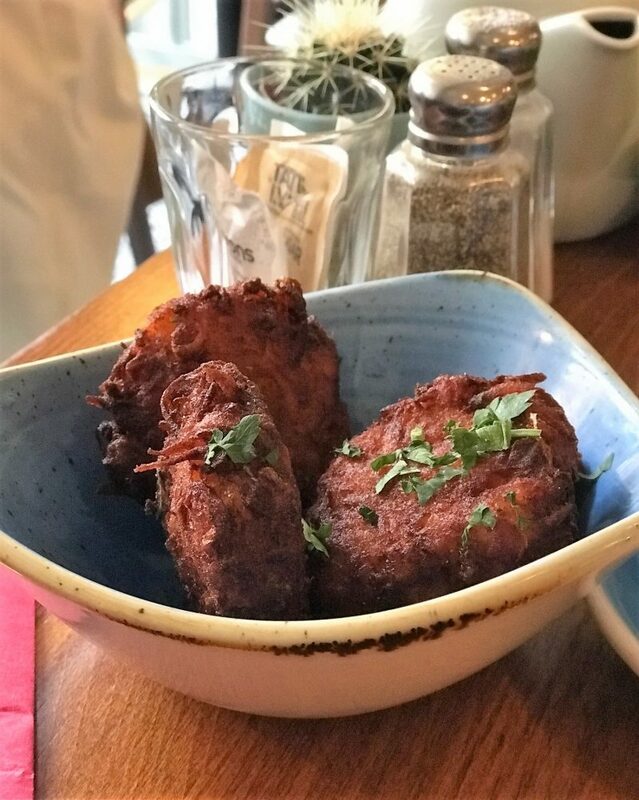 Both dishes were ideally sized and presented so lovely – of course we snapped the hell out of them for instagram before diving in! Couldn’t fault the brunches – the food was delicious and totally more-ish, cooked to perfection and large enough to indulge in a real feast! 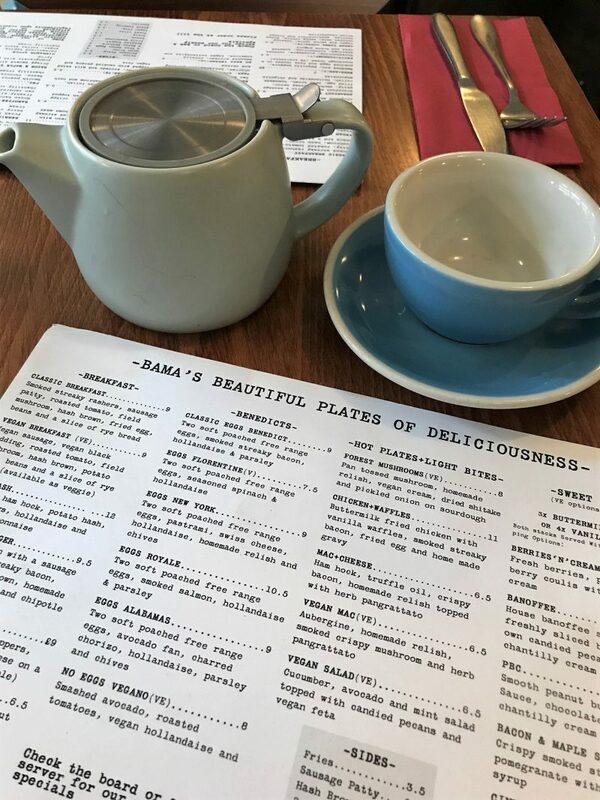 But the main thing I want to stress from this review is that Alabama’s is by far one of the best for menu choices in Manchester. Honestly, I was stuck for choice, and the price points are reasonable along with lots of Vegan and Veggie options too. You can check out the Alabama menu on their website here. I still wish I could have over indulged with a stack of x3 buttermilk pancakes with crispy streaked bacon, pomegranate and maple syrup, washed down with either a Breakfast Martini or a Peanut Butter Milkshake. But you know… there’s always next time! 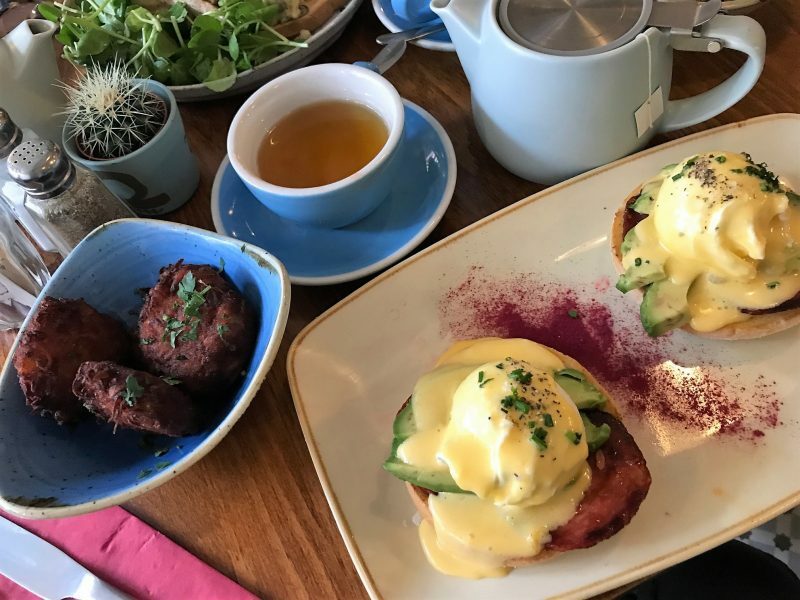 Breakfasts and brunches range from £6.50 – £12, in which you are guaranteed a good sized serving. If you’re into your Northern Quarter independently ran brunch hot spots, I can happily say you need to try this one out. *I was invited to Alabama’s on a complimentary review.